Seeing the thread on the lifted wagon got me thinking. Anyone add four wheel drive? Sure you can buy a Xc but that is no fun. I had looked into it because I was bored one day. You have to re-do the entire front of the car. I forgot where I ended up, but I recall thinking buying a Nissan drivetrain and motor would've been where I went with it. Seems idiotic without looking back into the details. All stated, the money you'd spend to either make it handle crazy good with AWD probably make it not feasible. If you're looking for diff lock 4WD stuff, and you're gonna lift it... prob just go solid axle jeep stuff? Maybe use AMC Eagle parts. This thread could be a good resource. Restore this thread to stock. This is going to be fun. The AMC front suspension is interesting. Or an old BMW 325IX? Straight 6 with a driveshaft going through the oil pan. I'd go nissan skyline RB26DET with AWD or an Audi Quattro, or new VW R32. but just because its the right way round. That said, you could probably figure out Suby stuff pretty easily. 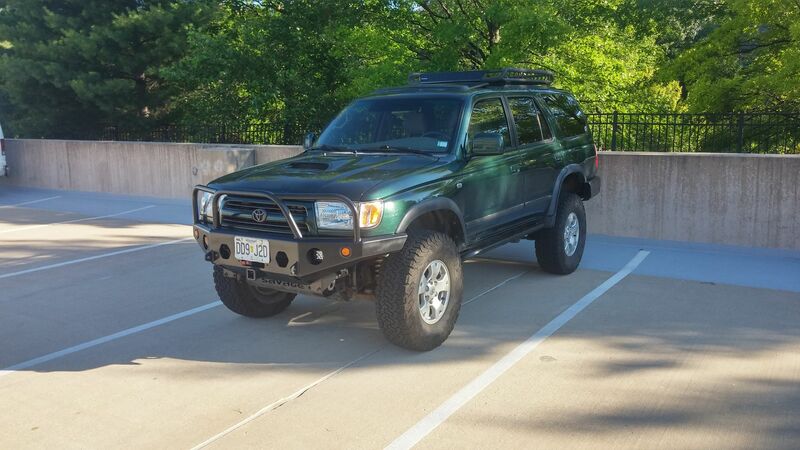 And I know it's not really in the spirit of the thread, but just go buy a 3rd gen 4Runner. They're more reliable and more durable than a Volvo is, they're good off road in stock form, and they're really good with a few grand in mods (suspension, armor). A lot less effort to just look for a good one on CL and buy it and enjoy. But see this is the thing. OF COURSE there are ACTUAL good options to buy a 4x4... but by that logic, we should've all bought Supra's or GMC trucks. This person has the will and interest to do something stupid and INTERESTING. We as a car culture should encourage this attitude because I WANT TO RIDE IN IT! But he's too old for that! Hahahaha. Everyone is too old for everything man! Whatever happened to the dreams of sliding into hell sideways in a cloud of smoke? Heh, just punning on his username. And we usually sidle into these projects, one increasingly iffy step at a time. I'm just tossing a thought out there, before the first step gets taken. 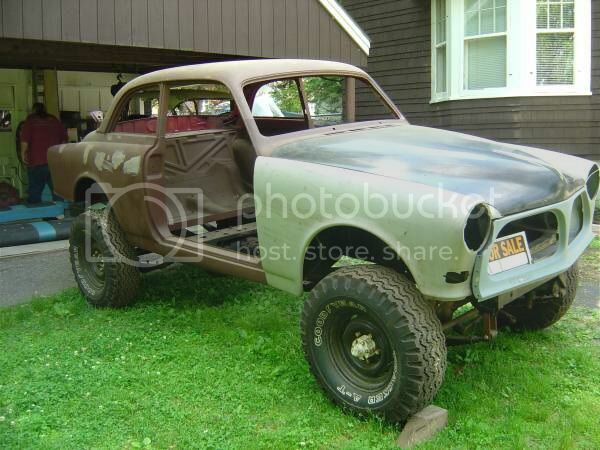 I'm in the middle of my own long running two-foot-itis Volvo project. Bought it with about 175 hp, wanted more, more, more, yeah, it's stilly. But fun. It's got to have a b230. Maybe a divorced transfer case like a Geo Tracker. Tracker even has ifs. And I know where one is! Some of those front end parts have Renault markings. My 98 4 runner was non stoppable in the 10-12" of snow we just recently got. Save the Volvo for better weather and get something designed for what you want to do. Thats the tightest shlt ever. I saw a 544 sitting on an IH chassis for sale on eBay many years ago. It looked awesome, like a little Sugga. I sometimes think if mine gets a little rustier I'll get another PV body to rebuild the car, and then stick my rusted to death PV body on some small 4WD chassis. And yeah, a good locker in the rear is just about as good as 4WD with no lockers. Suzuki Sidekick 4x4 parts, The auto trans in the Suzuki is even related to the AW71. I can't find the thread. Remember the 240 wagon that was converted to 4x4? I think the poster used the small blazer or S10 for the driveline. I love this guys collection of 4x4 vehicles. Someone found it a year or so ago in a field in bad shape. But that used a Cherokee axle?